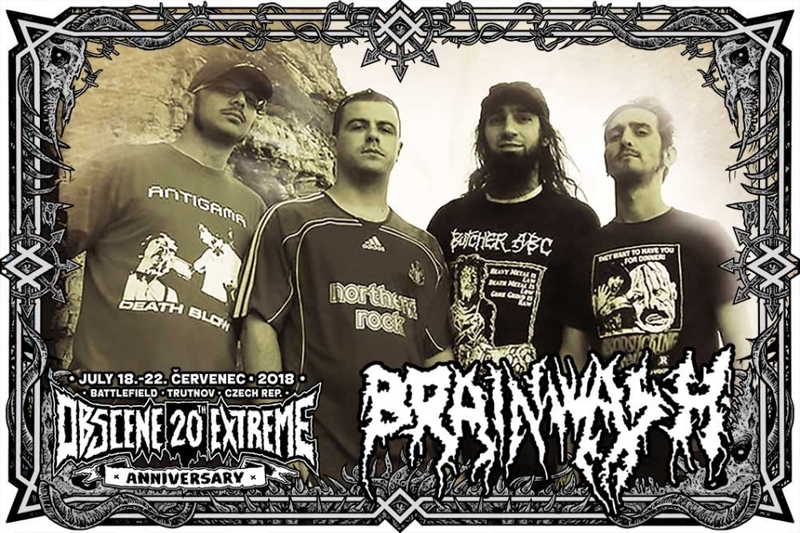 This is no Italian spagetti western but true and brutal grind/noise core delivered by the veterans of the style, BRAINWASH!!! Founded mainly as a live band as early as in 1992 they however have very few recordings but it is a great and active band live. BRAINWASH on stage means shredding notes and a chaos in the true sense of the word!!! They have played many gigs, supported big names, participated in famous tours such as Grind Over Europe & given concerts all over Europe!!! The squad around the main brain, the drummer Marc, do really know to grind which you will experience with your own ears and eyes as part of the Wednesday's programme BACK TO 1999 OEF PARTY where BRAINWASH as an old participant of the first OEF of course belongs to!!! Old school grind/noise core... this is BRAINWASH!! !